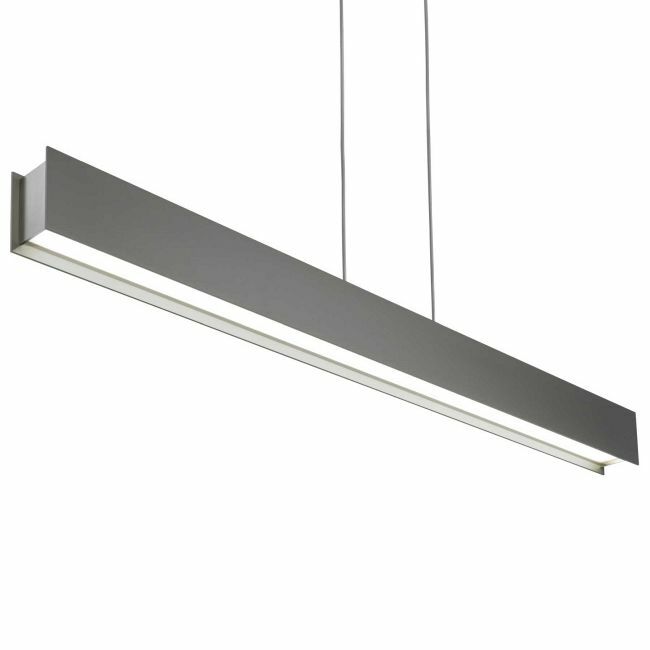 The Vandor Linear Suspension uses parallel planes of cold rolled steel coated in matte rubberized paint in Gray or White to reveal decorative Satin Nickel end caps. Body houses a recessed LED source designed to distribute a significant punch of task lighting on surfaces below without glare. 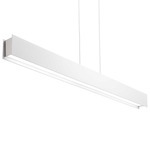 Includes a 49 watt, 120 volt LED module, 3000K color temperature, 3020 net lumens. ETL listed. Suitable for damp locations. 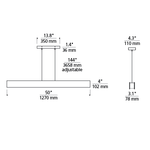 50 inch width x 4 inch height x 3.1 inch depth. Includes 144 inch field adjustable suspension cable. Dimmable with a low voltage electronic dimmer, sold separately.